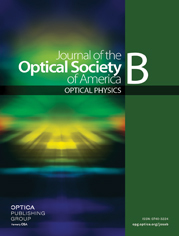 We describe the theoretical modeling of the external-cavity operation of a phase-locked array of diode lasers in two configurations, the self-imaging cavity based on the Talbot effect and the angular-filtering cavity. Complex filtering functions, such as the transmission or reflection of a volume Bragg grating (VBG), may be introduced in the external-cavity description. Experiments with high-brightness diode laser arrays were also conducted. The experimental results are carefully analyzed with regard to the numerical simulations, and the beneficial effect of the spectral selectivity of VBGs is demonstrated. a θ B , Bragg angle for λ B = 975 nm ; d, grating thickness; n 0 , optical index; n 1 , index modulation; Λ, grating period; R B / T B , diffraction efficiency; 2 Δ θ VBG , FWHM angular acceptance.